I can’t believe I’m writing about Pizza Hut – again. But here I am. My son was due to attend a birthday party that involved a trip to a nearby Pizza Hut. Since we don’t have one very close to us AND they have a strange relationship with food allergies (see “Correction: Pizza Nut… I Mean, Pizza Hut” from 2012), I needed to do extra homework in preparation for my son to eat there. I started by reviewing their allergen menu. 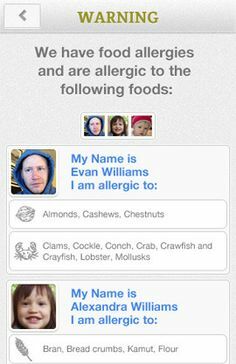 But since my son is allergic to food OUTSIDE the top 8 allergens, I also placed a call to double check my findings. I don’t take unnecessary risks – especially in a birthday party-type situation. Does the sauce have dairy (particularly, cheese) in it? It’s impossible to tell from the online menu since most pizza is covered in mozzerella, but his won’t be. Is sesame used anywhere in either the crust or the sauce? It can be ground up like flour and used as an ingredient you can’t see. Are there any cross-contamination issues I should be aware of with nuts or sesame seeds? Not only could the customer service not answer the question himself, but he put me on hold while he asked a “nutritionist” somewhere in his office. Sounded promising… until he came back to the phone and told me to go to the online allergen menu. I reminded him that I had already reviewed it and had questions that this online menu didn’t answer. I already felt that my questions (which I’d like to remind Pizza Hut concern the safety of my child) weren’t being heard and my concerns were being dismissed. Huh?! It sounds like neither the representative nor the nutritionist understood what kind of information I was asking for and both were just blindly answering. He returned to the nutritionist and came back yet again without any helpful information. But, the customer service representative took my contact info and assured me that the nutritionist would get back to me within 24 hours. It is now eight (8!) days later and I still haven’t received a reply from Pizza Hut’s customer service OR their nutritionist. Unfortunately, my son injured himself playing sports and couldn’t attend the birthday party. But there was no way I felt comfortable with him eating at Pizza Hut if customer service AND a nutritionist couldn’t tell me if cheese or sesame seeds were in their sauce and crust. The already hard decisions about how to accommodate my son’s food allergies so that he feels included in social situations was made that much more difficult by a lack of both understanding and a total lack of response.